My eye lashes are a complete pain and often completely refuse to behave themselves in any way. They usually point in whatever direction they fancy at the time, the lashes on the outer corner of my eyes hang down and I have lashes that grow above my lash line, making applying eye liner difficult. I love the look of false eye lashes and would love to be able to wear them for shoots, so it actually looks like I have some eye lashes, but unfortunately I can't apply them to save my life. So I'm always on the look out for mascara's that will give me as much length and volume as possible. A couple of months ago (I'm sorry this has taken so long, finishing my uni work got in the way!) Magnifibres contacted me on Twitter to ask if I would like to try their Brush-on false lashes* and I said I'd be delighted to try them. I really didn't know what to expect with Magnifibres and when I opened it up I was greeted by fluff on a wand! Ok so technically it's fibres, not fluff, but it does look a little strange. 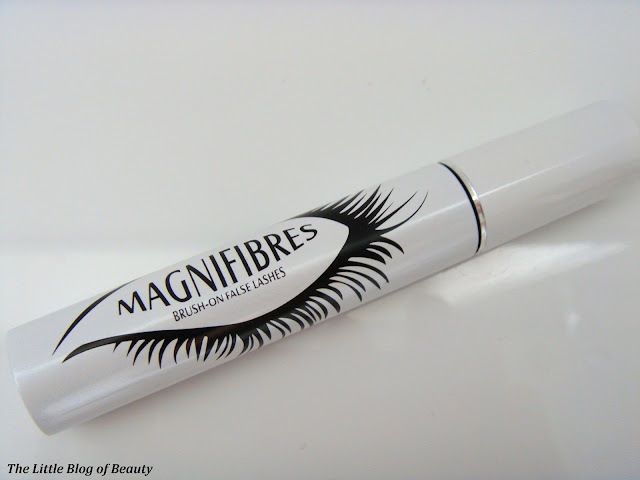 Magnifibres works with any mascara you want to use. You apply one coat of mascara and then immediately apply Magnifibres on top while your mascara is still wet, just brushing them on as if you're applying mascara. 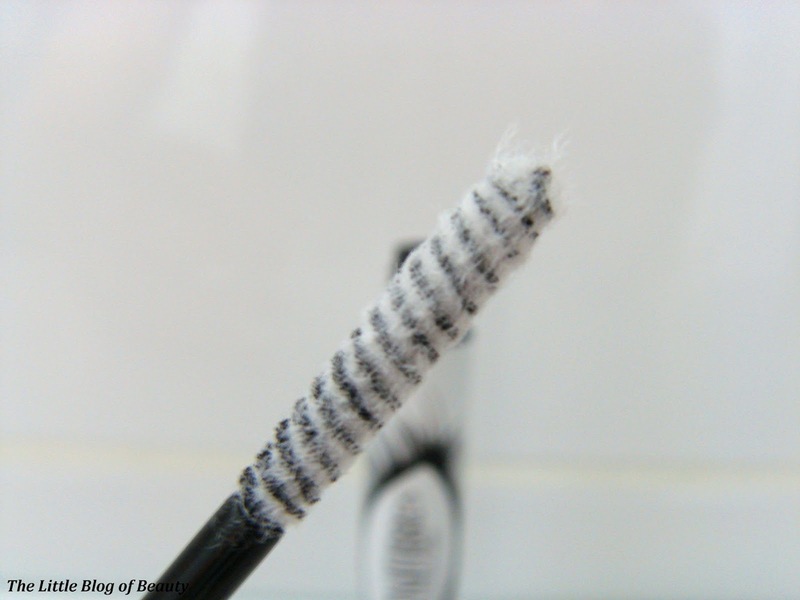 You then leave this for 30-60 seconds to give the fibres time to stick to your lashes as your mascara dries. Then just apply another layer of mascara over the top of the fibres making sure you cover them all as they are white so you'll be able to see them. Although I'm not entirely sure that the fibres added any extra length to my lashes they definitely added some volume. Looking back at the pictures I think I may have needed to concentrate on getting more fibres on the end of my lashes to add length. I was slightly concerned about using fibres so close to my eyes but this didn't turn out to be a problem as they do stick to your wet mascara and don't end up falling into your eyes. 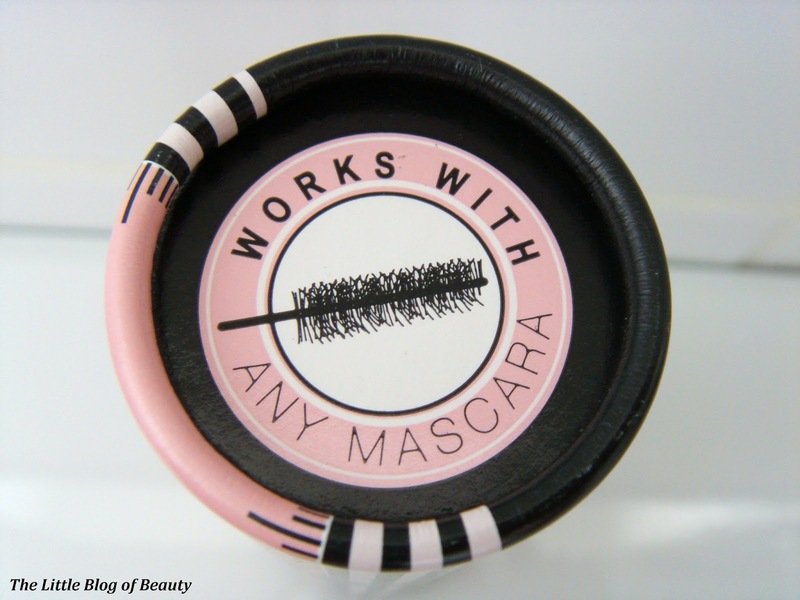 A couple did transfer onto my mascara wand but I don't see this as a problem at all. 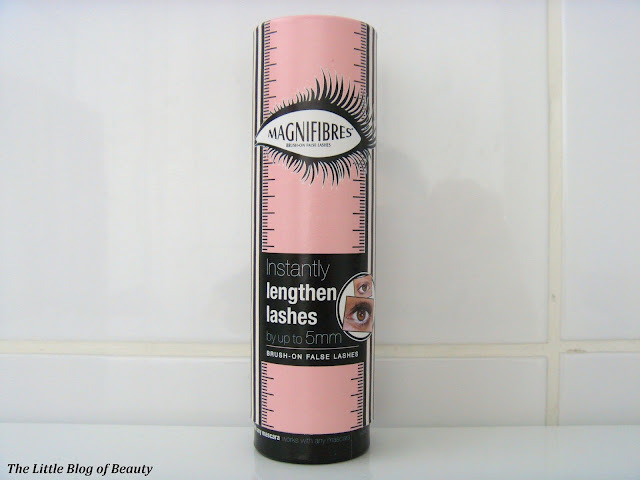 I would definitely consider using Magnifibres when I want a bit more volume to my lashes, especially on shoots, and I've popped this in my makeup bag to carry around with me. Magnifibres are available for £21 and £3 shipping from the Magnifibres website but you can also find them on Look Fantastic for £20 with free shipping. 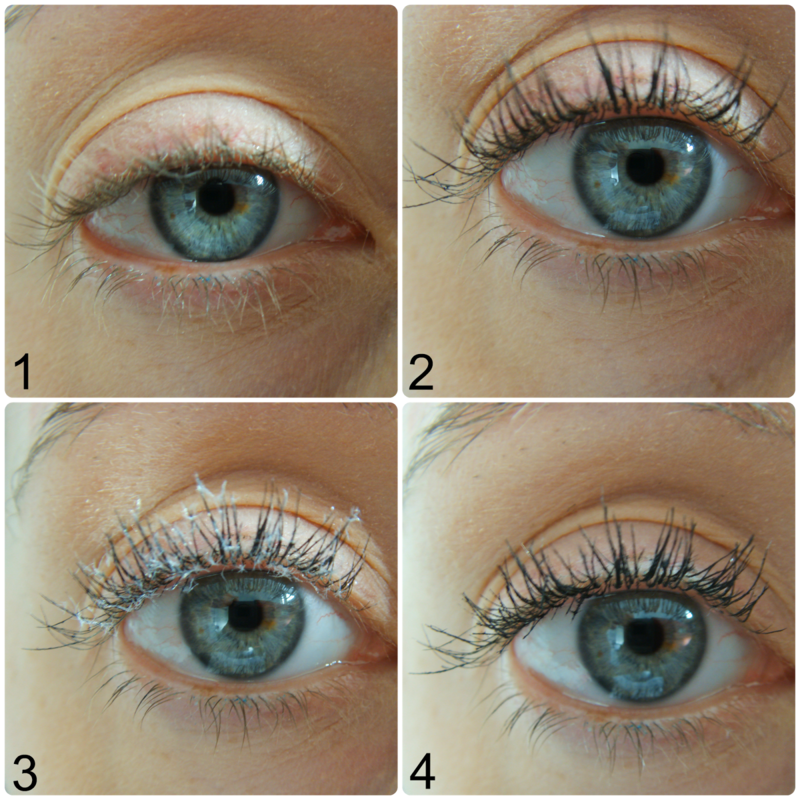 While I have some pictures of my eye ball on my blog I want to ask your opinion. Are my eyes blue or green? My camera may have changed the colour of my eyes slightly but nobody can decided whether my eyes are blue or green. What do you think? I usually decide they're blue and think hold on there's definitely a bit of green in there! 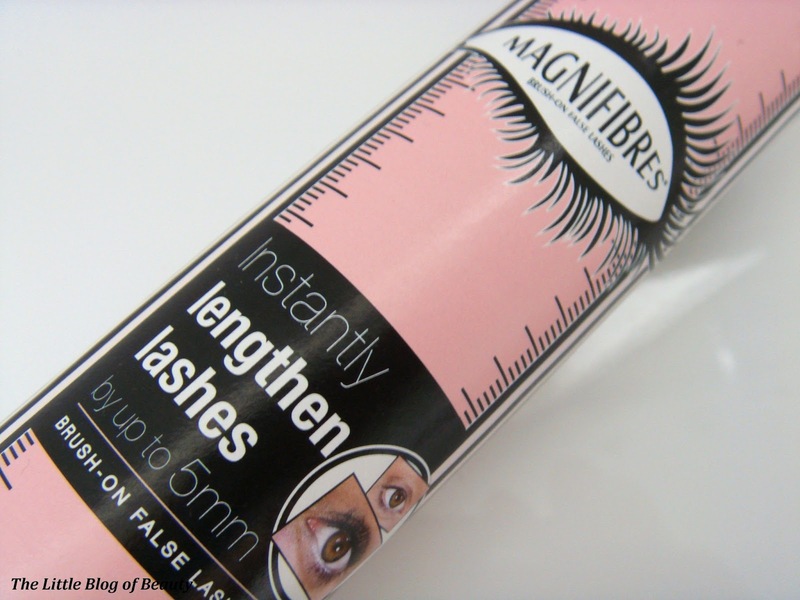 Looks like a great alternative to false lashes, never heard of magnifibres before! Great post, p.s I think your eyes look a very pretty blue here but pics can be deceiving-whatever the colour, they are gorgeous!! Wow this is a really interesting product! I have never heard of this before but I really want to try it (: and I think that your eyes are blue (: great post! I need to try this to add volume. Your eyes look blue to me with some bits of green in them, xoxo.